EXCLUSIVE AT NET-A-PORTER.COM. Balmain Paris Hair Couture's spa set will make a perfect gift this festive season. 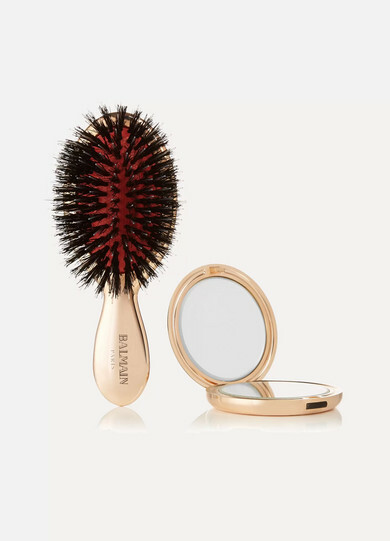 Presented in a sleek case, it includes a travel-sized mirror and rose gold-plated brush, which is handmade with long boar bristles that stimulate scalp circulation to encourage growth. 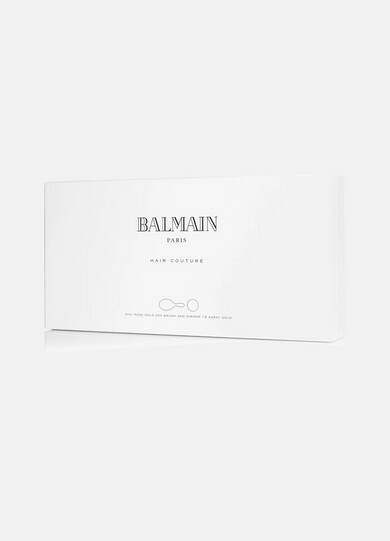 It also comes with the brand's 'Silk Hair Perfume' - the fragrant and nourishing solution is used as the finishing touch on models' locks before the house's runway shows.